The waves at Narragansett Town Beach. I have been surfing for eight years. I’ve surfed in Miami, Hawaii, Cape Code and Rhode Island. Yet if I counted up the hours I’ve spent surfing, it wouldn’t match even one summer for a dedicated surfer. That’s what happens when you learn to surf while going to graduate school, raising two children, and running a business (not to mention, writing this blog). Consequently, there seems to be no end to the amount of surfing lessons that I need. Plus, the truth is that I’m terrified of surfing. And I am absolutely addicted to it. So, yesterday, I joined a group lesson with Narragansett Surf & Skate instructor Mike. I had been watching the water for the previous two hours so I had seen surfers of every age, gender, shape and size paddle out and catch some waves, with or without an instructor. I met a family visiting from Quebec, and all three daughters (the youngest of which was only six-years-old) started with a group lesson, but afterwards stayed in the water with their rented boards catching their own waves. Their father even wound up renting a board to get in on the action. 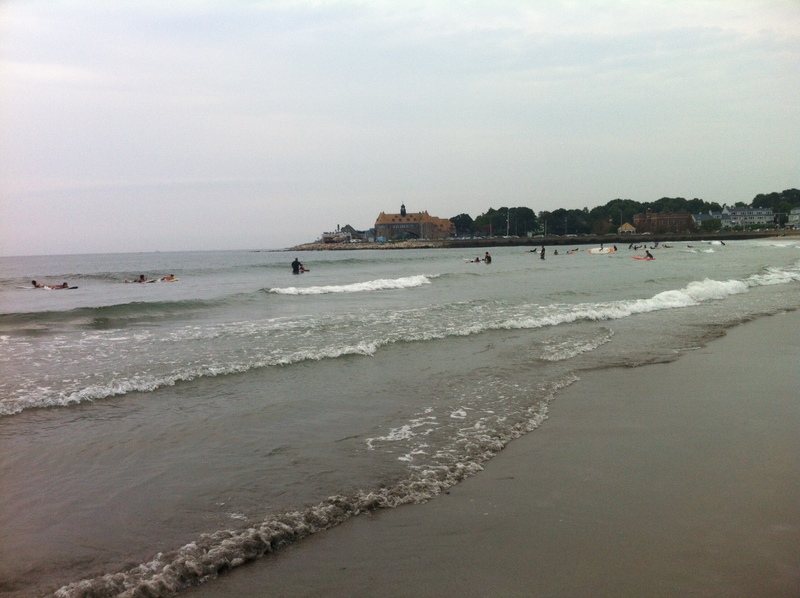 At Narragansett Town Beach, the waves are clean, modest (1-4 feet) and consistent for beginners. And even though I’ve been surfing for years, I still consider myself a beginner. Mike pushed me into a few waves, but I also caught some on my own (and missed some on my own). And next time maybe, I’ll even venture out without an instructor — maybe.